Sign up below and we’ll call you back to discuss your case within 1hr. No Fees unless we collect for you! Why are lawsuits being filed against Essure? 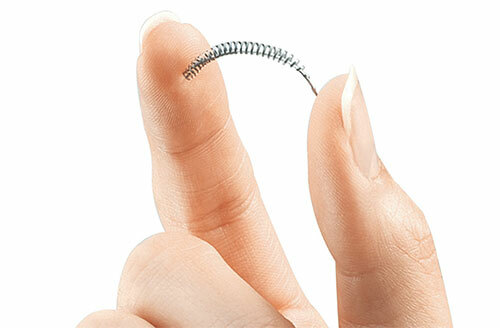 Essure is a permanent contraception device manufactured by Conceptus Inc. and Bayer AG. Although it does not require surgical incisions to be implanted, thousands of women suffered its terrible side effects few years after the operation. If you are among those unfortunate ones, you deserve a just compensation. You don’t have to live with pain for the rest of your life. We’re here to help you. Shortly after being implanted with this device, countless women started complaining about many serious adverse reactions, including excruciating abdominal and back pain, bloating, weight gain, constant migraines, depression, chronic fatigue, and sexual dysfunction. Some of the women who were implanted with this device suffered much more serious harm, and in some cases, they even died because of the consequences. The inflammatory response required to form the scar tissue around the coils could be very detrimental to a woman’s health. The manufacturer never warned anyone about this risk, however, leading to unexpected consequences for which it should be held liable. In two different instances, rumors have circulated about Bayer and Conceptus altering the data about Essure’s safety. NBC 4 News New Yok reported that the pharmaceutical giant altered the records to achieve FDA’s approval. If Bayer actually provided the FDA with skewed data on purpose it could be held liable of concealment. In August 2018, after the FDA threatened Bayer with civil and criminal penalties, the manufacturer finally announced that it would stop selling Essure after December 31, 2018. At least 16,000 lawsuits filed by women who have been harmed by Essure have been consolidated in a large Mass Tort. For over 65 years, attorneys with Lattof & Lattof have been helping victims injured by unsafe products obtain fair and just compensation for their suffering. If you or one of your loved ones had an Essure device implanted between 2002 and 2016 and later suffered adverse effects, Lattof & Lattof will be happy to provide you with a Free Legal Consultation with no obligation.